Years have come and gone, and Canada is a different country on a better course than was set out in 1867. And yet, the ghosts of prejudice still haunt us, right up until today. On 23 May 1914, the ship Komagata Maru carrying 376 South Asian passengers, citizens of the British Empire, entered Vancouver’s Burrard Inlet. They were hopeful, anticipating the start of new lives in Canada. But the Canadian government along with local officials endorsed and enforced an anti-Asian and “whites only” immigration policy, denying entry to almost all of the passengers, because of the colour of their skin. 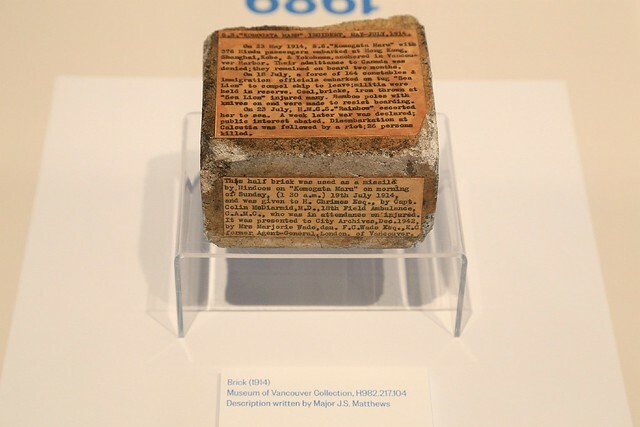 Only 24 were allowed to stay, and two months later, the ship was forced to leave Vancouver and returned to India where the remaining passengers would subsequently suffer further indignity: arrest, injury, and for some, death. 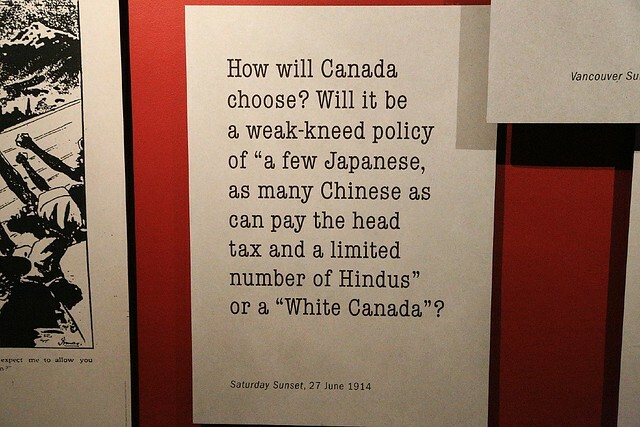 In all, Canadian policies at the time aimed squarely against South Asians, Chinese (Head Tax), and Japanese (Internment), against people settled in Canada and those who wanted to move to Canada. But history records that people fought for their communities, for their rights to voice and contribute towards the construction of a fair and equal nation. These efforts helped to bring about The Canadian Citizenship Act which came into effect on 1 January 1947. 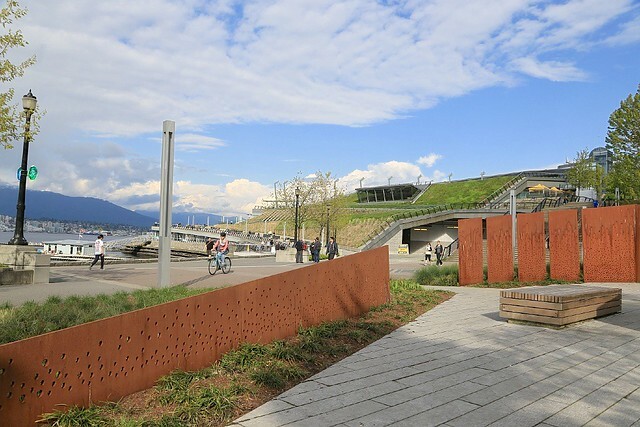 An event at Vancouver’s Komagata Maru Memorial marked the centenary on the afternoon of 23 May 2014, attended by politicians, dignitaries, local figures, and members of the general public. 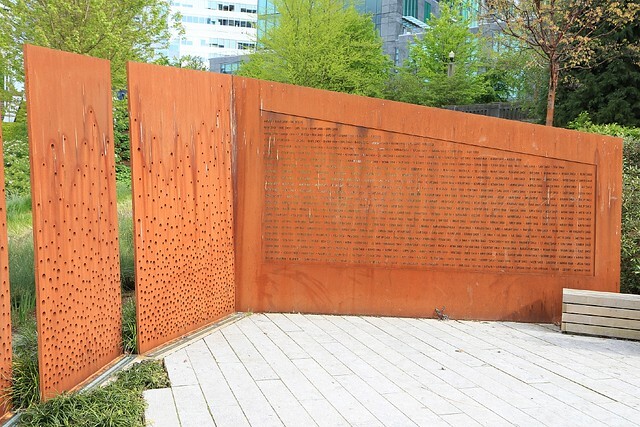 Naveen Girn, who has played a big role with the “Komagata Maru 1914-2014” project in a collaborative effort among museums, universities, and other institutions throughout the Vancouver area, introduced various speakers throughout the ceremony. • It’s easier to defend yourself and members of one’s own group in the face of adversity. It’s much harder taking on courage and a leap of faith to defend others when they’ve been clearly wronged. Where do we stand now? • Of those who returned to India many worked passionately for independence. 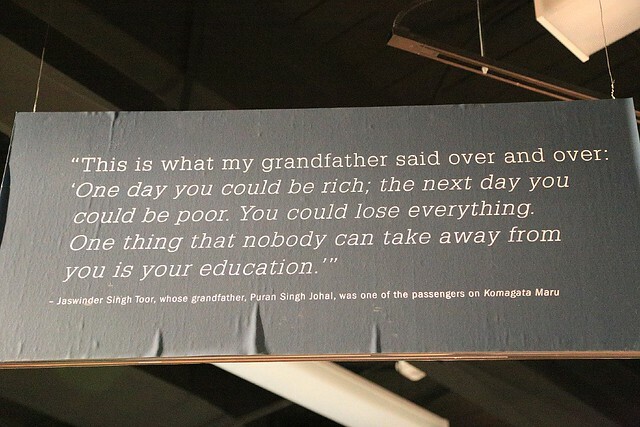 Some assert the Komagata Maru incident played a contributing role to Indian independence 33 years later in 1947. For what do we stand? • After the ceremony, some of us expressed disappointment we didn’t see the Premier of British Columbia, or more school groups in attendance. I was disappointed I didn’t see representative members of the Chinese and Japanese communities. Aren’t we all connected among members of the entire Asian community by our shared experiences of racism? For whom do we stand? • Some in curiosity asked why I showed up; my reply was: why wouldn’t I be here? I came to show my unity with the South Asian community. When do we make our stand? • Regardless of age, background, or gender, there was a sea of beautiful faces, basking in late-spring sun, seemingly ready to reveal their own stories. Who are we in our stand? What stereotypes and prejudices do we have about others? 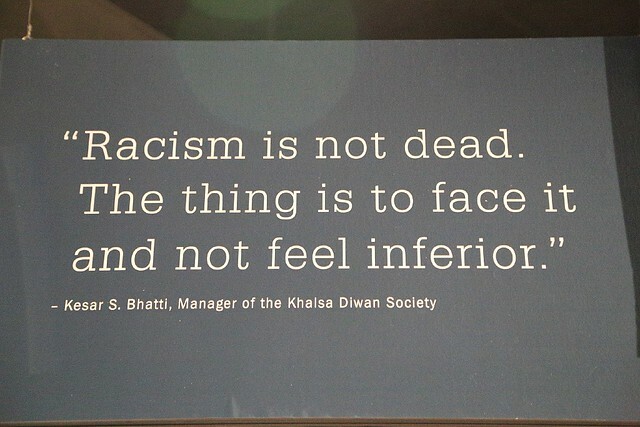 Having worked in the United States, Germany, Chile, Australia, and here in Canada where I was born, I have encountered racism in every place I’ve lived. There are no exceptions. Fortunately, encounters are rare, but I’d like to see the word “rare” eventually lead to “never”. When someone says there’s no racism in their city or country, that surely comes from misguided or, worse, willful ignorance. Our common experiences tell us our resolve for the common goal will not waver: we go forward until racism is wiped out. 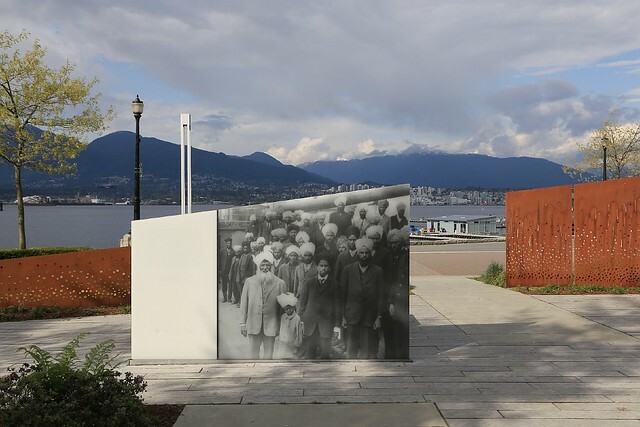 Inaugurated in July 2012, the Komagata Maru Memorial is at the eastern edge of Harbour Green Park, next to the Seawall in Coal Harbour on the south shore of Burrard Inlet in Vancouver, Canada. The memorial is located just south of the Vancouver Harbour Flight Centre, and west of the Vancouver Convention Centre. Public transport: SeaBus to Waterfront Station, SkyTrain to either Waterfront or Burrard Station, bus 19 to West Pender and Thurlow, or any number of buses stopping or terminating at Burrard Station. 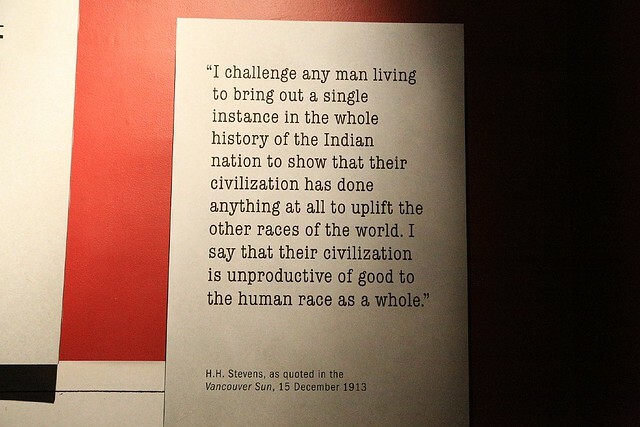 I made all of the photos above at the Museum of Vancouver, Maritime Museum, and Komagata Maru Memorial in May 2014. This post appears on Fotoeins Fotopress at fotoeins.com. Great post Henry! Unfortunately you’re right, racism exists everywhere from the smallest town to the biggest city. Not sure it’ll be wiped out completely during our lifetime but I hope and believe that at some point it will be. We’ve come a long way in a short time. So true! Vigilance against racism is everyone’s responsibility. Thanks, Tim & Nat!